Energy Guide labels identify the potential energy efficiency opportunities of the correlating product. 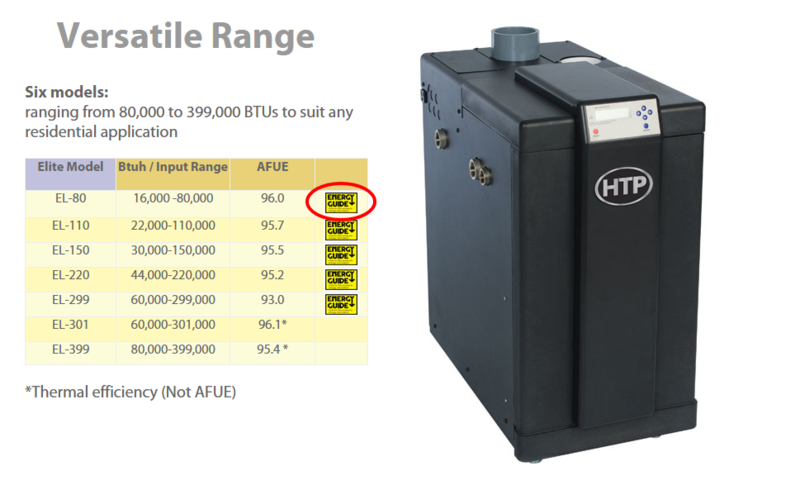 HTP provides Energy Guide labels on our products and on our website. These Energy Guide labels provide the efficiency of the unit and the efficiency range of similar models. You can easily view these labels on our site by going to the Versatile Range section of the product page, and clicking the yellow Energy Guide logo!